"So what's the deal with Stratton? What's he like?" 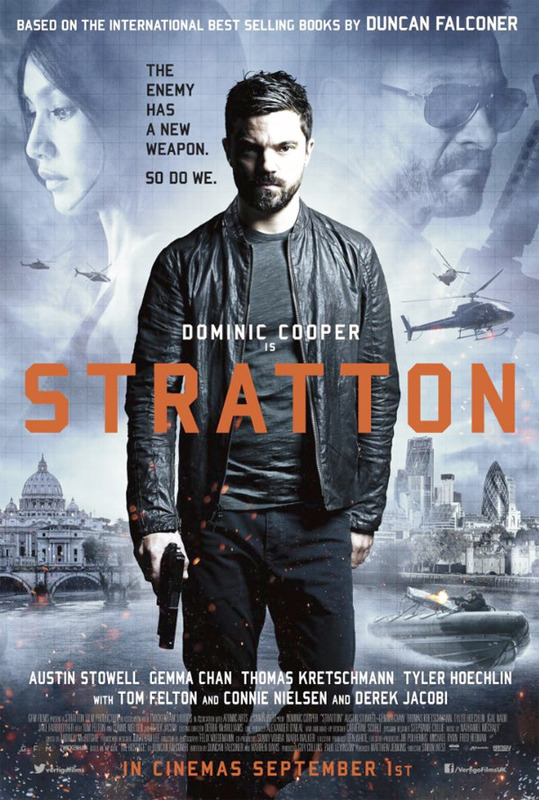 Momentum Pictures has debuted an official US trailer for the British action movie titled Stratton, starring Dominic Cooper as a British Special Boat Service commando named Stratton who tracks down an international terrorist cell. From the director of Con Air and The Mechanic, this movie is also known as Stratton: First Into Action and opened in the UK back in September. The name "First Into Action" comes directly from the book that this is based on, a "Dramatic Personal Account of Life in the SBS." The film's full cast includes Connie Nielsen, Tom Felton, Tyler Hoechlin, Gemma Chan, Thomas Kretschmann, Derek Jacobi, and Austin Stowell. It seems like Momentum is dumping this in January, and it doesn't look like it's really that good, mostly heavy on action. You can also still watch the original UK trailer for Stratton here, to see even more footage from this. The enemy has a weapon. So do we. A British Special Boat Service commando named John Stratton (Cooper) tracks down an international terrorist cell. Stratton is directed by veteran British filmmaker Simon West, of the action movies Con Air, The General's Daughter, Lara Croft: Tomb Raider, When a Stranger Calls, The Mechanic, The Expendables 2, Stolen, and Wild Card previously. The screenplay is written by Warren Davis II and Duncan Falconer, based on the novel "First Into Action" written by Duncan Falconer. The film already opened in France and Portugal this summer. Stratton first opened in theaters in the UK in September, then opens in select US theaters + on VOD starting January 5th, 2018. Interested?